It’s that time of the year again -- Holiday Starbucks cups, panic over Q4 deals to close on 12/31, and finally, lists of books your sales team should read over the holidays (“Top 10 Must Read Books on Sales!”) This won’t be one of those blog posts. In fact, I encourage you NOT to push new sales books on your reps over the holidays. 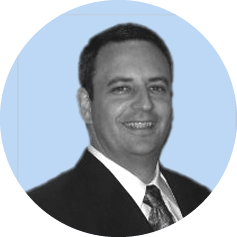 Tom is a member of Symmetrics Group's Advisory Board, and brings 25 years of experience as a specialized generalist in the sales effectiveness industry, where he is sometimes referred to as “The Consultant to Consultants.” Tom is passionate about KISS (Keep it Simple for the Sellers) and focusing on the reinforcement and sustainment activities that drive sales transformations. The Sales Transformation Dilemma – To Tweak or To Transform?